The App Center for Confluence app enables companies to provide direct links to any web-based application to employees in Confluence or on a Confluence-based intranet. These links are then made available as icons, similar to apps on a smartphone. 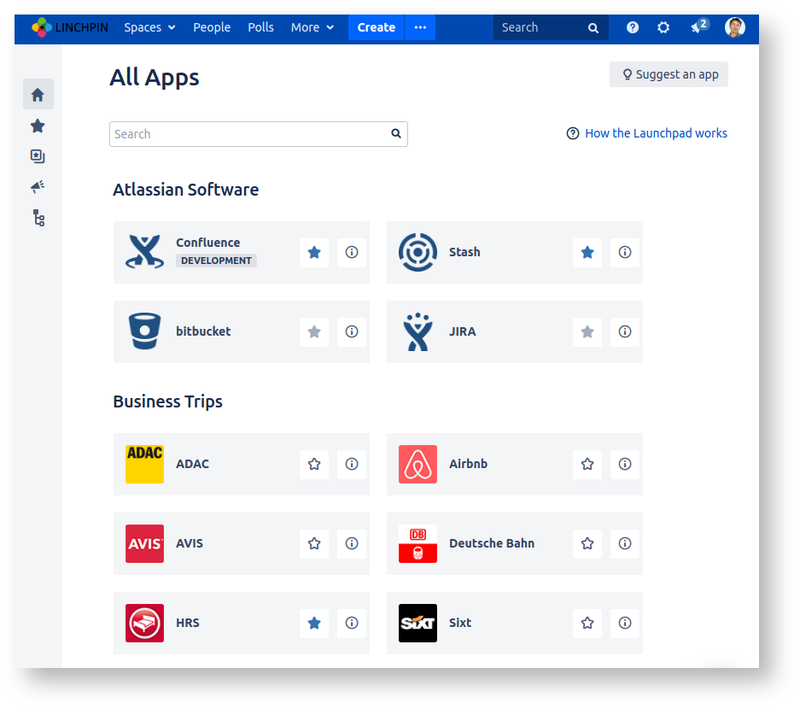 With version 2.0, our development team has just delivered an improved version of the App Center - this release has a new name: App Center for Confluence will now be known as Linchpin Launchpad. With this we want to avoid misunderstandings about the core functionality of the software. Also, by renaming the app, we hope to show that this app is closely related to the Linchpin intranet suite, because the Launchpad is an integral component. Additionally, we've added some new functional improvements with the latest releases - including a new sidebar in the app overview section with additional categorization options for you as well as a drag & drop feature that is very practical for when you're organizing your personal launchpad. You can see the full list of features in our Knowledge Base and also access up-to-date documentation for users and administrators. Linchpin Launchpad - take it for a spin today! Want to know more about Linchpin Launchpad? Would you like to try it out, no strings attached? Launchpad is a part of our Confluence-based social intranet suite Linchpin, but you can also use it separately in any of your Confluence instances. 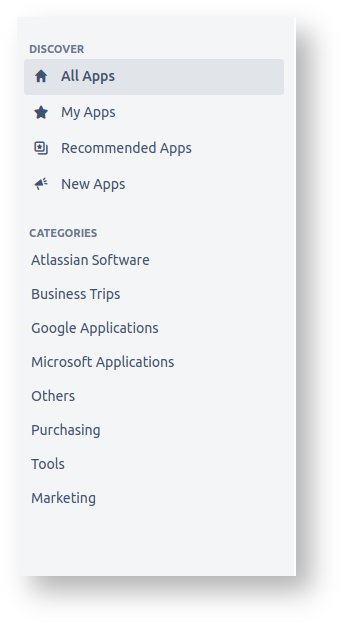 The most recent version is available to download and install for a free trial from the Atlassian Marketplace. Of course, we are also happy to assist you with implementation and configuration. See our detailed information about features and license costs in our Knowledge Base.